Fished the fort 3 hrs before low, fishing was slow, had 2 thin dabs and a whiting, met John V on the bank and he had a couple of flatties and fat whiting. there was a bloke with two kids fishing further up the beach and they seemed to be pulling flattie after flattie out. They weren't my target, I wanted an early thornie so was fishing larger baits, although the flatties and whiting were caught on 3/0 hooks! The bites and knocks died off so thought id switch it up, swapped a 3/0 pulley rig with squid and bluey wrap for a longer flowing 4/0 paternoster with just a big bluey chunk. 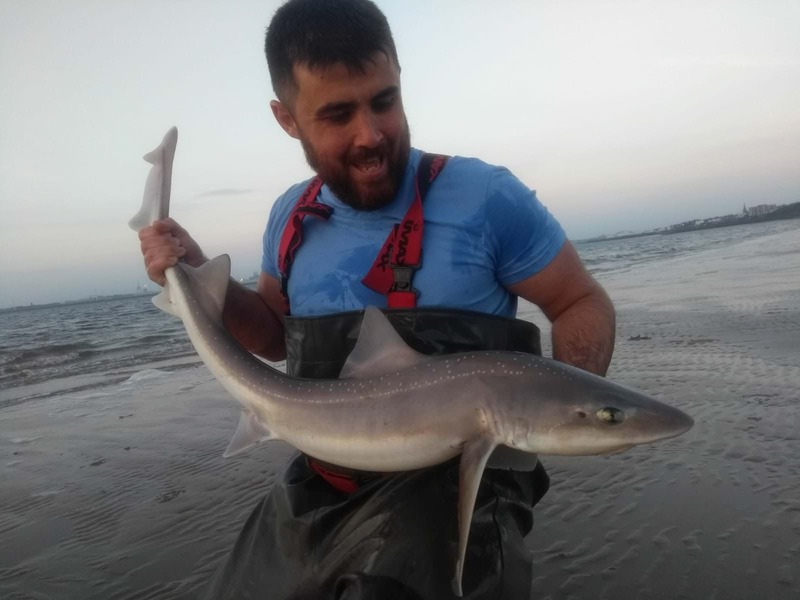 Cast out about 5 minutes before the tide started to flood, had a little bump bump on the tip, so i left it then about 20 secs later he was back! 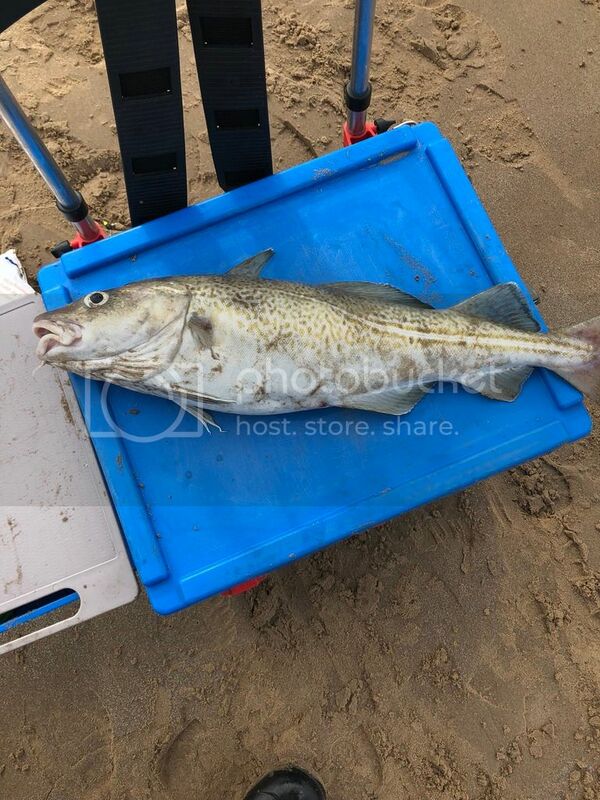 a nice sized codling, a pb for me of 4.79lb. I was made up! even tho no rays turned up i was buzzing with the surprise codling! That codling made the session one to remember. Cheers! finally sorted the image hosting thing, here is a pic ! There appears to have been a few nice fish come out the past couple of week.